REFUSAL Romanian president Klaus Iohannis on Monday turned down a request for sacking the country’s anti-corruption chief prosecutor Laura Codruta Kovesi. In response, Justice Minister Tudorel Toader announced he would notify the Constitutional Court. Johannis, who had earlier voiced his support for the chief prosecutor, said he would take into account all the documents presented to him. The Romanian president had repeatedly said the reasons for sacking Kovesi were ungrounded. Minister Toader in February called for Kovesi’s resignation whom he accused of having failed to meet her job requirements. The Higher Council of Magistracy has also voiced support for chief prosecutor Kovesi who is presently heading the country’s main anti-corruption agency DNA. PROTESTS Several hundred employees from two hospitals in Bucharest and other medical units across Romania continued their protests on Monday, as they are discontented with their salaries, especially the benefits which, according to the new salary law, have been capped at 30%, which for many of them resulted in a drop in revenues.  Trade unionists in the Romanian medical system will decide this week whether they resume protests, after on Friday the health minister Sorina Pintea made them promises to solve the situation. According to her, hospitals will be able to use their own funds to grant financial incentives and benefits to the employees whose salaries have dropped. FOREIGN AFFAIRS The Romanian Foreign Minister Teodor Meleşcanu is participating alongside his counterparts from the other EU countries in the meeting of the Foreign Affairs Council under way in Luxembourg. Dominated by the situation in Syria, the agenda of talks also includes the reports on Iran, the latest developments in the Western Balkans, the relationship between Brussels and Moscow and the EU’s external financial instruments in the context of the future Multiannual Financial Framework post 2020. The High Representative of the European Union for Foreign Affairs and Security Policy, Federica Mogherini, will brief the foreign ministers with regard to the developments in the Gaza Strip and Venezuela. AGREEMENT The Minister for Romanians Abroad, Natalia-Elena Intotero, proposed in Madrid the signing of a cooperation agreement between Romania and Spain regarding the possible return home of those Romanian citizens who want that. The Romanian official made the proposal during the meeting she had in Madrid with the Deputy Minister and Secretary General for Immigration and Emigration, Marina del Corral. The latter agreed with the proposal, given that Romania and Spain share common experiences regarding migration. Minister Intotero presented the campaign to be launched in May entitled “Being informed at home! Safety in the world!” as well as the programs the government is implementing to support the Romanian citizens who want to return home. During her visit to Spain, Mrs. Intotero met in Madrid with the representatives of Romanian associations. According to the Spanish Immigration Observer, the Romanian community in Spain numbers more than one million residents.